We ask ourselves this question everyday -- do we as Christians, the wild olive grafted into the true olive tree -- truly realize the great privilege and responsibility that we have towards Israel? Some Christians wonder why we are in Israel, or why we are concerned about the nation of Israel, because they say that the Jews will not believe in Yeshua (Jesus) as Messiah and Saviour anyway? Our response is that if the Jews as a race or nation were to suddenly become believers in Yeshua today then the Bible would not be true! John Wesley’s Commentary – “And every eye: Of the Jews in particular shall see him - But with what different emotions, according as they had received or rejected him. God’s ratio in time of one day to a thousand years is set forth in Psalm 90 and 2 Peter 3. Israel has been scattered into the world without a Temple or a sacrifice, smitten and torn, for two thousand years. We believe the people of Israel are seeking the Lord today. Messianic Jews (believers in Yeshua) truly believe that the Messiah for whom they waiting for is Yeshua HaMashiach (Jesus Christ the Messiah) but religious Jews do not yet know the identity of their coming Messiah. Down through the Christian era, segments of the Church have mistakenly persecuted the Jews, thinking that they are doing God’s service. It is no wonder today that many Israeli’s are still sceptical in regard to Christian affiliations. Yet, today Evangelical Christians are the best friends that Israel has in the world! History records that no nation or race has ever persecuted Israel or the Jews and escaped the wrath of God. That Israel has deserved its own punishment has been prophetically declared by the prophets, but it is God Himself that brings judgement to His earthly people, not others. The more our Nation blesses Israel, the more God will bless our Nation. As Christians, we are to keep the peace of Jerusalem in our prayers, for when we pray for the peace in Jerusalem, we are actually praying for the Lord to return; because there can be no peace in the Holy City until He reigns on Mount Zion. Today, the world culture's acceleration into moral decline is almost mind boggling! Are we seeing what the Bible predicts as the passing of the "times of the Gentiles?" As the apostle Paul sees it, the Jews are a unique people on the face of the earth. No other people in all of human history have or ever will have a comparable status or role in God's dealings with mankind. 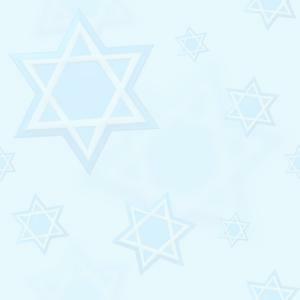 This is not to say that the individual Jew will receive any eternal reward unavailable to an individual Gentile. That is decidedly not the case. In eternity, there are no nations or people, only individuals. But in history, God deals with people as well as individuals. And as a people, the Jews stand alone. God has and will accomplish in and through them what He will accomplish in and through no other nation or family on the earth—not the Irish, not the English, not the Russians, not the Americans. Firstly, God has revealed to the Jews and to no other people His purposes in and through history. The Prophets, the Scriptures, and divinely revealed religion came into the world by way of the Jews. Secondly, Yeshua (Jesus) came into the world through the Jewish people. God incarnated Himself in the form of His Son Yeshua, an Eternal King from among the Jews, who will rule over an Eternal Kingdom that God will establish at the end of this age. Thirdly, God has established covenants only with the Jews, promising them a unique relationship and experience of Himself within the bounds of temporal history here on earth. And fourthly, the Jews will be unique in the history of mankind in their experience of wholesale repentance and universal sanctification. Just as the younger Jacob was chosen for a unique place in the unfolding plan of God and Esau the older was designated to serve the younger. Israel was chosen by God to bring the Gospel to the Gentiles. At the end of time, no other people on the face of the earth will be able to boast a comparable experience! Never has every living person of an entire nation repented and been saved. Nor will it ever happen in the future. The Jews, once again, will be unique in this. Among them alone will the Spirit of God have come and touched the hearts of virtually every individual such that it can be said, "All Israel was saved." Universal repentance will come upon Israel after the "fullness of the Gentiles has come in." In other words, Paul interprets the prophetic outline like this: God has turned from the Jews as a people and is not working primarily among the Jews to sanctify them. Indeed, He is working primarily among the Gentiles. But the day will come when the full complement of those Gentiles whom God is going to save will have come to faith and then will He turn to Israel and pour out His Spirit upon them as the prophets have promised. As we observe the spiritual darkness overtaking our culture and what are we observing? Are we witnessing God's abandonment of the Gentiles? Are we seeing the end of the times of the Gentiles? Has the fullness of the Gentiles come in, and is God about to turn to the Jews and produce among them an unprecedented spiritual repentance? We have no answers to these questions, certainly, but one thing we do know for sure is that God’s plan for Israel, the Church and the Nations shall surely come to pass. God’s Word has been tested in the furnace of the earth. The Word has proven itself to be pure gold and silver. The everlasting covenant has been tested now for four thousand years of history. It is in effect for all to see. God if faithful to His Word and Promises! The rebirth of the nation of Israel has been a slow process. The process started in late 1800s and has continued right up to the present time. At times, this process seems to stop and then all of a sudden a huge event takes place that accelerates it. The start of the Jews coming back did not seem significant at first. There was a small but steady stream of them. Then came WWI and the Balfour Declaration. Like an explosion, the land was being readied for their return. The period between world wars was one of tension and terrorism. There was no apparent move of God towards fulfilling the Covenant. Then came WWII, and the Nazi Holocaust. The events of WWII set the stage for hundreds of thousands of Jews to return to Israel. Then came the rebirth of the nation in 1948, and the immediate war. The war ended and Israel was once again faced with tension and terrorism. For twenty years there seemed no end to the shelling and terrorists attacks. Then came the Six-Day War in 1967, and like a bolt of lightning Israel had all of a united Jerusalem as its capital. Since 1967 there has been a major war, plus fighting in Lebanon and continual terrorist attacks against Israel. Although the fighting and terrorism seems endless, there will be an end. There seems to be tension, terrorism, and fighting between all the major moves to restore Israel. It has been almost forty years since Jerusalem has united. Now, the fighting is over Jerusalem and the Temple Mount area. The Bible states that the last great world war will be over Jerusalem. All the nations of the world will be drawn to Jerusalem. God is going to use Jerusalem as an anvil against the nations of the world. The fuse to start the last world war may have been lit in September 2000 when the Temple Mount became the scene of bloody combat. God is moving to fulfill the promises of His everlasting Covenant, but one has to be patient. God seemed to have moved very slowly with Israel to completely fulfill the promise. Looking back, since 1917 tremendous progress has been made. Israel is a nation with Jerusalem as its Capital. Israel is a mighty military power. Israel has a powerful economy. The rest of the promises of the Covenant will be fulfilled in God’s time. No matter what was tried by the British, the Muslims, UN, EU or any other group, their attempts have not been able to stop the rebirth of the nation. Israel is truly like an Anvil and nations are going to be broken trying to destroy God’s Covenant Nation. In watching God work great patience is required. The restoration has taken almost a century to get this far. God has His own agenda and timetable. But the war that started in September 2000 over the Temple Mount and all subsequent wars in Lebanon and Gaza show that God’s timetable might be accelerating. Remember, Yeshua said that Jerusalem was the key to the timetable. Most religions of the world do not recognize God’s Covenant over the land of Israel. Some believe that the Jews had a covenant but this covenant is no longer in effect. God is using Israel to now show the literalness of His Word. The rebirth of Israel confronts false teaching, doctrine, and prophets. Islam does not recognize the covenant with Isaac and Jacob, but instead believes that God made a covenant with Abraham and Ishmael. Islam believes the Koran not the Bible is the Word of God. The Koran fails to mention Jerusalem even once and it does not mention the rebirth of the nation of Israel. Jerusalem is mentioned 811 times in the Bible. The rebirth of Israel is on page after page in the Bible, while the Koran is silent. The rebirth of Israel shows the authority of the Bible as the Word of God. Israel is proof that the Koran and Mohamed are wrong. This tension between Israel and Islam and the Koran can never be peacefully resolved. For Islam to recognize the nation of Israel would be an admission that the Koran is wrong. Nearly every day Israel is in the news. Israel, and especially Jerusalem, has become the focus of world attention. Israel has been the subject of a large percentage of the UN Resolutions. These Resolutions were from both the General Assembly and the Security Council. In 1997 the UN voted 5 times for merely building apartments in east Jerusalem. Nearly all the countries of the countries of the world voted against Israel. The world is so sensitive about Jerusalem that in 1980 when Israel moved its capital from Tel Aviv to Jerusalem most nations refused to recognize Jerusalem as the capital of Israel and kept their Embassies in Tel Aviv. Even though the nations of the world are politically against Israel, this country is totally unique. Israel is the only country in the world in which the land was promised by God. Nearly every day now, the media carries stories about Israel and the Palestinians. One of the major issues is Israel is giving away some of the covenant land for peace. This land would include part of Jerusalem, the section which contains the site of the ancient Temple. Israel has been forced to give up land for “peace” since the Balfour Declaration of 1917. According to the Palestinians, the real issue is their desire to have a homeland, a state, in what is now Israel, and control over sites what they consider is Holy in East Jerusalem. This certainly sounds reasonable enough but having said this, is this really what the Palestinians want? Or do they really want the extermination of Israel? The hatred, anger, and violence against Jewish citizens expose their true objective. The one objective they might achieve is a state. The true objective they will never achieve. We personally feel great sorrow for the Palestinian Arabs as they have been fed this steady diet of hatred, anger and vengeance. They have been told that the Jews are responsible for their every problem and to kill as many at all costs. Quite simply, all Israel wants is peace and to be left alone. Defensively it is crucial for her to keep her covenant land – obtained in the 1967 war. However, the Muslims also want this land, and are using terrorism, propaganda, and their influence of vast oil reserves to bring Israel to the negotiating table. The Arab nations, descendants of Ishmael, have been a thorn in Israel’s side and still are! The Hebrew language had become almost extinct yet today the Israeli’s speak Hebrew, the same language as their ancestors. They kept the same religion while in exile. There is simply no nation like Israel. There was no English 2000 years ago. It is very difficult to read English from only 200 years ago. What other nation is like Israel? That was scattered into all the world for nineteen hundred years? What force kept the language and religion intact? What force has kept the Jew from being completely destroyed through pogroms, crusades and holocaust? And all the other tempts to destroy them? The only groups who are consistently outspoken in favour of Israel keeping her covenant land include; Orthodox Jews, a small number of reformed and conservative Jews, Israeli settlers and residents of the Golan Heights and fundamental (Bible believing) Christians.